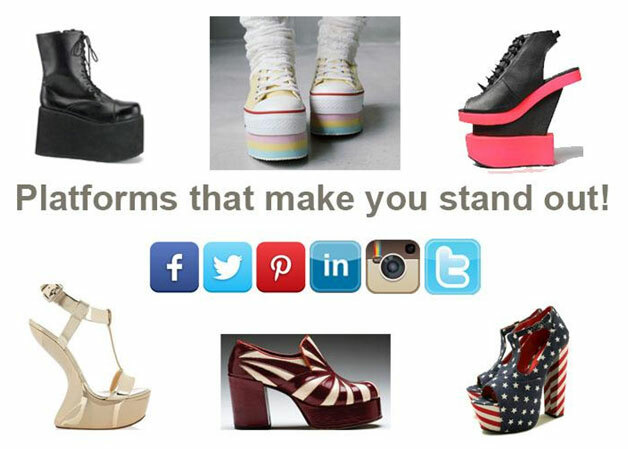 Platforms that make you stand out! Facebook as we all know is one of, if not the main platform used by upcoming and already established companies alike. Because of its unique user-friendly platform and excessive on-line presence, everyone a fighting chance of being seen and integrated with. As of January 2014 74% of people used the internet, with a mighty 71% using Facebook in particular. With 1 billion registered users and 699 million everyday users, it is true that more people are likely to see your business pages and ads. Facebook’s main user ages range between 18-29 (90%) and 30-49 (78%), which is based on Sept 2014 figures. Now Twitter became very popular at first with celebrities in years gone by and we once thought that it was a platform for the famous person. However over time it has gained an impressive following all of its own. With 271 million active users, it has become a global soapbox where anyone can and does share their news, stories, thoughts and pictures in a short and sweet, real time kind of way. Twitter seems to be the Marmite of the on-line user. You either love the snappy, #trendy way to express yourself and your business or feel that it takes too much effort even to have your say in so many words #editmuch. However this does not take away from the fact that it is a platform that can be used in an intelligent way for your business, what with their ad design being a more basic and straightforward one, if that is what you prefer. LinkedIn has become a unique self promotion and business platform site all of its own, inviting professionals far and wide to congregate and share their expertise, network and find each other more easily. If you’re looking for such a person, there is probably only one place to go. Pinterest, love it or hate, has basically managed to defy the odds by becoming a major player on the social networking market and continues to grow. So with this in mind I think it is important to look on the long finger of certain platforms to see where they could possibly go. If you’re just starting out on your journey into the great on-line, Pinterest just may help you along. Both these platforms, although directed at a particular market, have enough leverage to boost any potential your business may have. With Instagram’s photo frenzied audience of around 200 million active users and Tumblr’s 130 million blogging force of nature, it may be worth considering jumping onto these bandwagons and seeing where they take you. These are just a few of the players in on-line advertising platforms, big and not so big, when considering your business steps. It is very important to consider closely your budget, especially starting out, what you are promoting and to whom and the best steps to take in order to make it a more economic and efficient machine that works for you. Best of success!